Brandon and I completely redid the kitchen when we moved here in 2007, and we changed everything but the hardwood floor. We did much of the work ourselves, and we came in at about $11,000 for the whole project (a great price for a complete kitchen). But the layout, which we kept because it’s truly the best layout for the space, is odd. The fridge stands alone in the center of the room, leaving all but the back exposed. We bought a titanium/stainless steel alloy of some sort (magnets stick and fingerprints don’t show) and the sides are grey instead of the typical black. It’s a nice fridge, but it’s nothing special. The kitchen would be greatly improved by the addition of a pink fridge, yes? (That’s an old photo, by the way. The trim is white now.) Smeg, Northstar, and Big Chill all make them (in pink and other colors). This one is perhaps my favorite, but I just pinned over a dozen colorful fridges to Pinterest too. Do you dream of owning one like I do? What color? One of my friends has one of those fancy looking Smeg fridges. While they look nice, they are tiny inside and the freezer is absolutely teeny weeny – you can barely fit anything inside. Perhaps there are different sizes available and she just has a tiny one? They’re very pretty though! Smeg fridges are tiny! Very cute, but very small. The others that I linked to are much bigger. Living in Norway, I found that the Smeg is actually a good fridge for most people. It will just encourage you to buy less junk, less frozen foods, and eat your veggies while they’re fresh! And of course a grocery shop trip more often. Oh no! You’ve reawakened my rampant desire for an orange fridge! I’d just made peace with our new (and nice enough, and on great clearance) stainless alloy one. But now…! I love those smeg fridges, but they are really small, I agree. Nothing like a bright fridge to funky up a kitchen though. Our fridge also started making quite loud noises after 1,5 years or so. The first time we had it repaired because we still had warranty and were afraid to do anything wrong. It turned out that because of the vibrations the compressor makes, some screws tend to turn and get loose from time to time. Every once in a while we fix the screws ourselves, it’s really not hard nor dangerous, at least with our model. Maybe this can be useful for those who can’t afford a new fridge. I wonder if ours could be a quick fix like that. I’m handy, but I’m not mechanical at all. I just got my white Smeg after wanting one for years but having not had enough space for it in the old house. This time I designed the kitchen around it and I LOVE IT. Unfortunately the white one only comes in the small size with a tiny freezer compartment but I had an integrated freezer installed in one of the kitchen cabinets instead and that works well. A white Smeg is PERFECT for you, Benita. So glad you got one! I’ve always wanted a cream Smeg fridge but they are soooo expensive when compared to other brands. We are in the process of buying our first house and would love a smeg for the new kitchen but the budget just won’t stretch that far, shame! Yep, that’s what happened with us. Four years later, I’m still wishing everyday that I got the fridge I wanted. HomeGoods had a turquoise one for a while that I would drool over every time I saw it. I love the idea of pink in your kitchen. For me, as boring as it may sound .. it would HAVE to be WHITE. I hope you get yours! wow, im in love. I had no idea you could buy this type of thing new. Now if only i had enough money to outfit my house in the cherry red, fridge, stove and dishwasher. Thanks for the link! I love them. I’d totally go for one if mine died (ours made noises and my hubby managed to fix it :( ) I’d go for aqua. Pink would be great for you – would that be one step too far for Brandon? No, I think he’d be fine with it. He isn’t bothered by pink. I have been dreaming of a 50’s style fridge for a long time. To be honest, I am bored with the fridges you see now in stores. They are all huge and the same design in three shades. I feel like like that vintage style is so classic. A coworker of mine found one of these fridges on EBay in red for half the price. 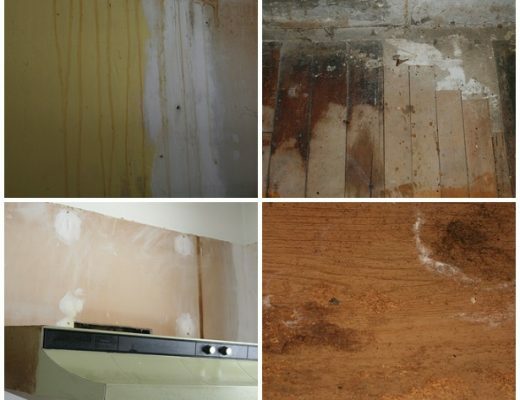 She had hers repainted at an automotive place to match her kitchen and saved a ton of money! We´ve got red Smeg when we renowated our kitchen and we also designed our kitchen around it. The door takes more space than average fridge to open. It can be tricky at some spaces. I´ve always wanted Smeg. When we were at the store where we bought our kitchen cabinets there fridge was there at the showroom as a specimen. We got it half price with full quartee! And I don´t think that is too small for us (3 person). Pares nicely with this wallpaper http://www.tapettitehdas.fi/fi/tapetit/mustavalkoiset/69717 . Wow, I had never seen such pretty pink fridges before! I think in the UK it’s pretty normal to just have white or silver fridges. I’m soo tempted to look for a pretty coloured fridge now! White and stainless steel are the norm here too. I will be oh so envious if you do indeed purchase a pink frig. My husband would never in 10 million years go for that. We gut renovated our kitchen 2 years ago and went with all stainless appliances. I really regret not opting for the blue frig I had a crush on. Everyone (and by everyone, I mean my husband and maybe 2 friends) convinced me that putting a colored frig in our open concept kitchen would limit my decorating choices. I regret not standing firm on that one! 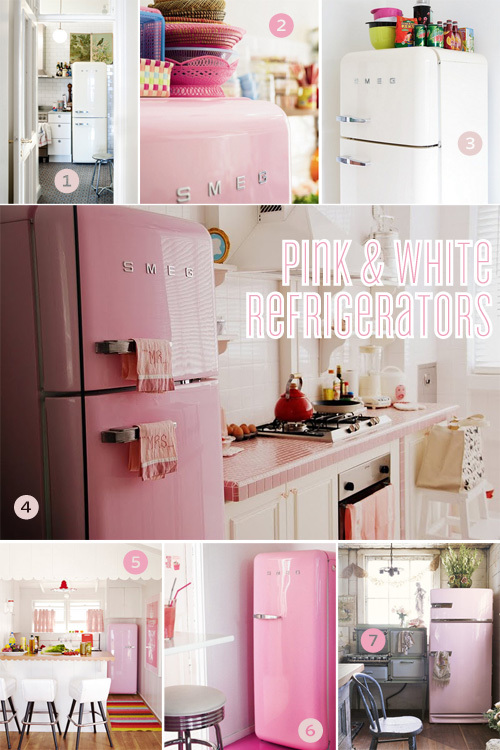 So yes….buy a light pink frig! Then post photos so we can all drool. I would be so angry if my 4 year old fridge died, I’d probably be seeing RED! I woke up Friday to my fridge making a terrible noise, so bad that I had to unplug it. My fixer-upper friend came over and said that it needed to defrost, ice had gotten in one of the fans. I put all of the food in a cooler with ice, and in about 4 hours (with the freezer door open), there was no noise. Whew-thank God for small (and free) repairs! My partner Ed repairs refrigerators — he hates side-by-side refrigerators, they break down and are difficult to repair sometimes. Our ‘fridge was making noises, too – first a loud “thunk” at the end of the cycle, and then a constant “electric chair” sound during the cycle; he said it wasn’t worth looking at (ours was way older than yours). Get a refrigerator you love and enjoy. Don’t put off until tomorrow that you can do today! The word ‘smeg’ totally grosses me out, so I got a big chill. Love it! I got the freezer on the top so my kids could get their own drinks easier. Works like a charm! In addition, they were very nice on the phone and the first time they delivered there was a very large dent, so they immediately shipped me out another one (dent was the fault of shipping, not BC). Good luck and go for the pink! Could you have your current fridge painted a pretty color once it’s fixed? I think any of the colors would be amazing but Pink Loves Brown definitely needs a pink fridge. I say go for it! Given how prominent the fridge is in the space, it should be pretty. Personally, it would make me happy everytime I saw it and that alone is worth the money! I love the Smeg, but I’ve read some really awful reviews about them. Love the pink though. When I was a little girl, one of my Grandma’s friends had a pink refridgerator and a promised myself one day that I would have my own pink refridgerator. I encourage your pink fridge, I can live vicariously through yours!!!! Love your website and your kids are adorable. From Lynne H. in Newport Beach California. Some friends got a vintage fridge and then had it painted pink at an auto finish store – it looks amazing! I had honestly not considered a pink fridge, but now I think I am! Especially vintage style. Oh! I think kitchen #7 is my dream kitchen! I didn’t even know it until now, but I can safely say that I want to go there. You NEED a pink fridge. NEED. I say go for it, especially because it’s practically free standing. I’ve been dying for an aqua one for years now. OMG, I would love one of those. I don’t think the hubs would go for it. Maybe I just need a bigger craft room with room for a fridge! If anyone deserves a pretty pink fridge, it’s you, Nicole! Now, I would enjoy a nice bright cheerry red fridge to go with my aqua and white with cherry red accents kitchen. I have a pink SMEG, best decision ever! I am totally in love with it! Oooooh! I vote a white smeg! So cute and so fun! Total personality! I’m over all those boring stainless steel fridges that everyone has! Plus, why does everyone need such HUGE fridges anyways! I love the old school look of a smeg! I am a long-time reader. Never commented. I LOVE your blog. LOVE. I have to comment. Your home looks like YOUR space. I see no traces of a husband here. Whether your husband is “bothered” by all the pink or not—a pink fridge is over the line. Lol. Her husband doesn’t care. She’s mentioned this multiple times throughout her blog. Just fyi. Brandon has plenty of input in our home! I run every decision by him, and he likes the way our house looks. I am so tired of people always thinking pink is a girly colour. You know what? I am a girl and I don’t care for pink. I don’t hate, I don’t love it. We are living in the 21.century, try and get over those silly stereotypes. Especially concerning pink, which was for hunderd of years a “manly” colour. Blue was for girls, red for men, so pink as the “little red” was for boys, light blue for girls. It only changed in the 20. century. And, no matter the subject, telling a stranger on the Internet what is crossing a line with her husband- I don’t even now what you were thinking. Go for it – it’d look fab! I’ve always wanted a turquoise fridge. So dreamy! Michelle, do you know Nicole’s husband? Because otherwise, I’m not sure how you can tell that there are “no traces” of him in her home. Perhaps they have similar tastes. Some men might hate a pink fridge, some might love it, some might love the idea of a retro-style fridge and not care what color it was. I think that’s the case here. Brandon likes the fridge because of the shape and style. Whether it’s pink or a different color doesn’t make much difference. i dream regularly of a pink fridgie! not to be at this stage in our household though. apparently i can have it when we remodel the laundry into a walk in pantry. must move that project up on the list! I love the retro fridges, and I love pink, but I think a pink fridge crosses the line into twee. Even if a husband or boyfriend wouldn’t mind, it does make the statement that the kitchen is all about one person’s taste. haha, I’ve been hoping and wishing our fridge would start to make dying noises – my husband has had it since before we met, and he’s covered it in stickers over the years, it looks like it belongs in a student share-house. Die fridge, DIE! Michelle, why is a pink fridge necessarily “over the line” for a husband? My husband is kind of quirky would totally go for the pink fridge just because it’s unconventional and totally different than what our friends and family would pick. I could understand the “quirky” argument if it were the issue of a single pink fridge. If you follow the flow of Nicole’s home from living room to dining room to (the now with a pink fridge for the sake of this argument) kitchen—every room has a very feminine vibe. A print of a woman with free-flowing hair, a dress form, a pink zig-zag rug do not scream “man lives here” to me. While I understand that her husband may not “mind” the pink, these rooms to me do not communicate that he was even considered in the design process. Everything reads feminine. August has one of the coolest nurseries I’ve ever seen–all the sweet little touches that make it his. Perhaps August may grow up to “not mind” pink either, but clearly when this room for baby #2 was visualized, there was a purposeful switch from pink to orange. 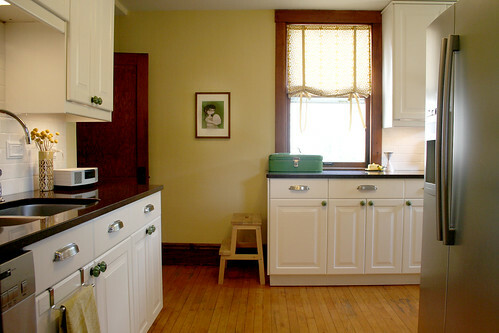 A switch from a space that once housed big sister to a space for a new baby brother. I just can’t help but feel the difference when a room was designed with someone else in mind. Some rooms read feminine, some are more masculine. Brandon’s happy with all of it and so am I.
p.s. I could have put together an awesome boy’s nursery with pink too, but I figured I’d switch up the colors a bit. I dream of everything smeg, but did you consider of painting your current fridge? It might be a first step to see if the investment in pink is worth it. It’s the shape that I love too though, not just the color. i think red would be fun – we are installing a black and white checkered floor. but i noticed in the pictures that some of the fridges open in awkward directions – just making it difficult to have a good flow in the kitchen. we had to go with a fridge like your current one to fit the space and be able to open it and take things out without being ‘caught’ on one side. it looks like your space would work with the hinges on the right (as in the pics), so wouldn’t that be fun to have a pink fridge! I’ve seen the pink smeg in person and was surprised that my husband thought it was cool. We’re not really pink refrigerator people, not in this house at least, but I love the lines, just wish there was a bottom freezer option. Now that we have one, I don’t think I’ll ever go back to the reverse. While I think the pink fridge is super cool (though I don’t like how SMEG is plastered across the front), I’m definitely on the side of getting a quote on the current, young fridge’s repair. A much more eco-friendly idea! Your old fridge seems quite nice to me. I find that most spaces would benefit from a pink fridge. The linen closet [it could just be the linen closet]. Where does a pink fridge not look splendid? I would take white or black. Maybe but only maybe yellow. Jadite green would be nice, pink would be too. I used to have a vintage lock fridge and still miss it terribly. As far as the husband argument I would say that a pink fridge is a little girly, but that is ok. Too often in our culture we as women adopt a more masculine style and then try to say that its gender neutral. If Brandon doesn’t care about having a girly fridge, then GREAT there are no problems. I love the Smeg fridges, in all their colours but a plumber told me that apparently people have problems with the shelves falling within them! Mine’s only problem is the icebox door – the handle snapped, then one of the hinges. And replacement parts aren’t cheap! My husband said no, so I bought my daughter a pink play kitchen. KidKraft! Pink is a great option! Some day I will have one! whatever the color, let’s hope your next fridge lasts longer than four years. geez. You NEED a pink fridge! I need an orange one. I had no idea these beauties existed! Also, your studio is looking gorgeous! I can’t help but be super envious. I can’t wait to see the final pics. Three cheers for Ikea! Me too!!! I’d like a turquoise one too. Oooh, or avocado green! I love love love those retro fridges too! They are so dreamy! You are speaking my language girl! Mine is a Northstar and it’s been great! I have a cream Smeg FAB50 (the fridge with an icebox version). I LOVE it, but bear in mind the lovely curved front does not take magnets. My sister has a pink Smeg in her vacation cottage. The kitchen is all retro, with recycled metal 50s cabinets, lots of Cath Kidston accents, and the Smeg. Looks adorable, but it’s *tiny. * I can’t imagine how a family could keep enough food in it, alhtough it’s fine for one or two people.